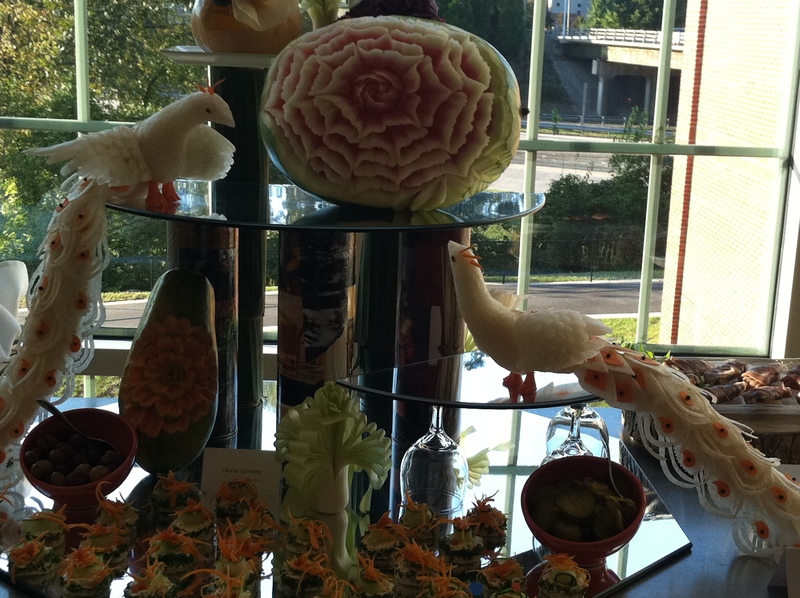 This week in Garde Manger we did a study of hors d’oeuvres and started to learn some basic vegetable carving. We had one small event with 125 grazers, several evening events and now to work on a grand finale buffet the week after next. Next week we focus on getting carving skills perfected and learning some molecular gastronomy elements for contemporary garnishing applications. The most fun comes when the teams plan their final presentation that must incorporate everything we have covered so far in class. This means I am expecting a spectacular centerpiece using carvings, sculpting vegetables, tallow or salt dough. One of the pieces I teach them is a carved daikon peacock. easy to do yet looks very complicated. 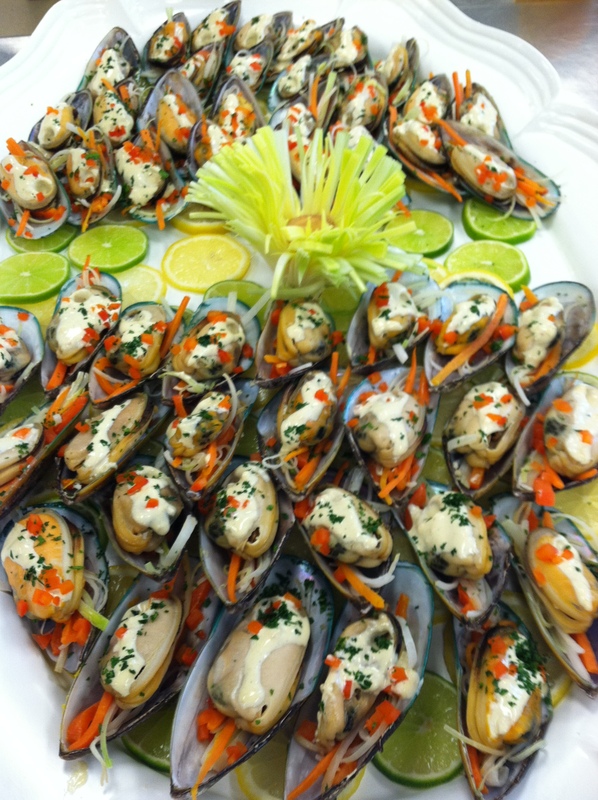 This entry was posted in Photography, Recipes, Teaching Culinary School and tagged Garde Manger, Hors d'oeuvre, mustard sauce, Vegetable carving. Bookmark the permalink. It is fun to watch what the students come up with. Some of them get quite good.